It’s hard to believe now, but there was a time when Tom Baker wasn’t playing the Doctor. At the beginning of the decade, we had four Doctors at Big Finish but no Fourth Doctor. Tom Baker had declined invitations to join Big Finish until 2012’s ‘Destination: Nerva’. 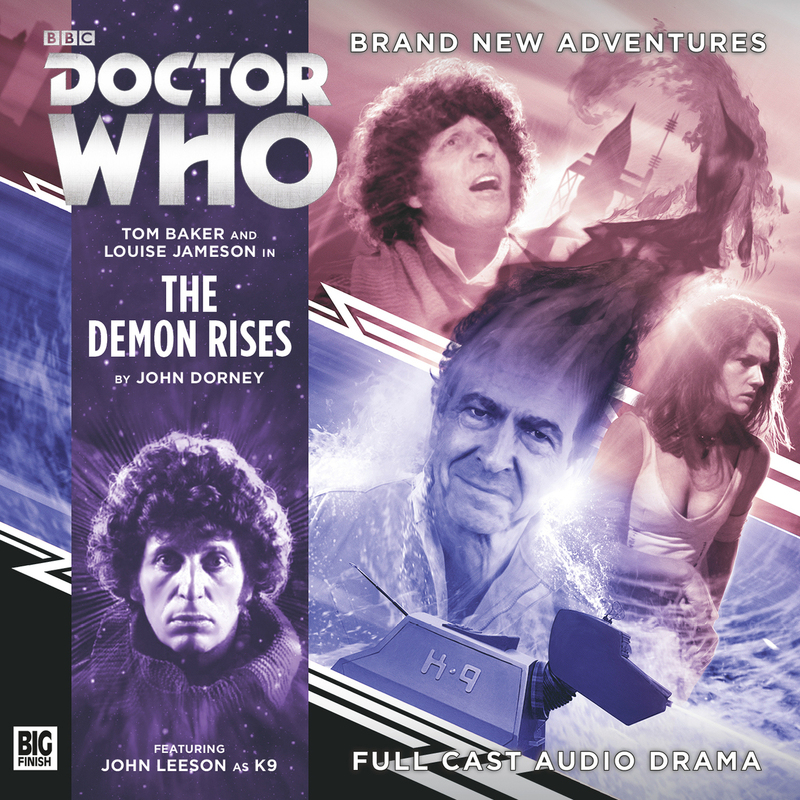 But, in that time, Big Finish have made the best use of their Tom Baker. Which brings us to now with countless appearances of the Fourth Doctor in his own series and elsewhere. It’s even harder to believe that, with the start of his seventh audio series, Baker has done nearly as many runs as the Doctor for Big Finish as he did on television. Much like the main show itself, the range has now undergone a slight retooling. Instead of monthly releases and weeks of waiting for cliffhanger resolutions, the first half of the series is packaged into one box set. Four fantastic hours of the Fourth Doctor Leela and K9! But will the stories suit the new format? Starting us off is the return of a Tom Baker era writer and an iconic Fourth Doctor villain. The Doctor and Leela find themselves stranded on an abandoned spaceship on a distant planet. Thing is, it isn’t as uninhabited as they thought. With the ship’s ranking officer and a collection of Voc Robots (first seen in 1977’s ‘The Robots of Death’). But when they find out what marooned them here, something extraordinary occurs! Andrew Smith delivers a brilliant hour of Who with one of the most complex sets of robots ever to grace the series. The Voc Robots have always had the capacity, with a skilled writer, to be interesting, sympathetic and emotional. Smith uses them to their fullest advantage, seemingly taking inspiration from the excellent ‘Robophobia’ by Nick Briggs. 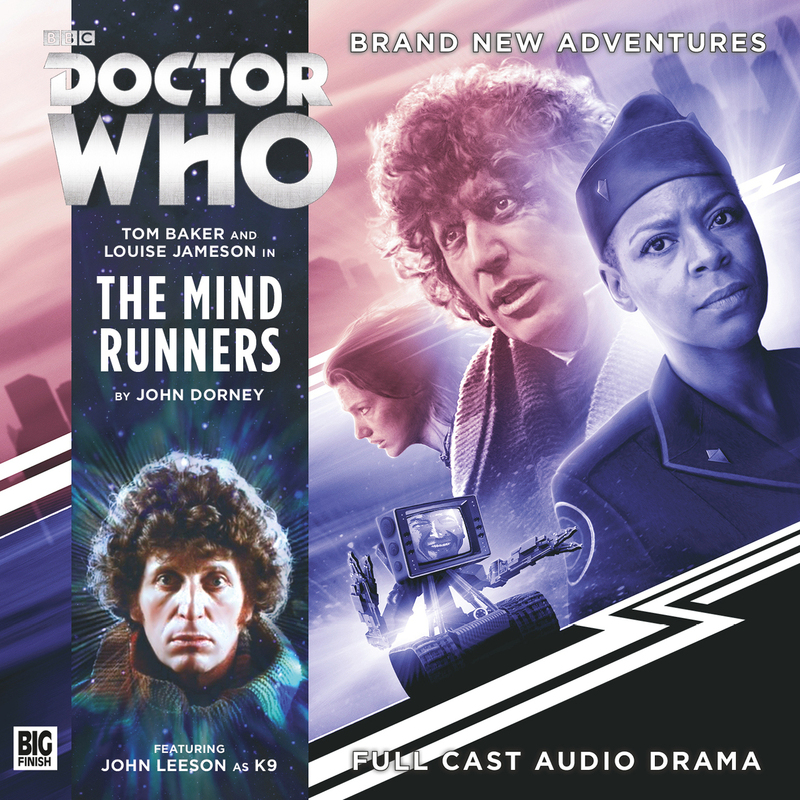 Voice regulars Toby Hadoke and John Dorney recreate their voices superbly while the rest of the cast, especially Baker and Louise Jameson as Leela, excelling in their own ways. Martha Cope and Oliver Dimsdale round off the supporting cast with excellent performances. The Voc Robots appearance kicks off this set with a V10/10. From Dorian Gray to Cicero, scriptwriter David Llewellyn finally gets his hands on the Fourth Doctor. Llewelyn is a truly unique writer and his work here stands as proof that. Leela wakes up on Earth, 1978… but that wasn’t where she was. She was on an alien planet with the Doctor and, having made their way into an impossible pyramid… But now, she’s back in London. In the Crowmarsh Institute with “Doctor” Stewart… But Leela is sure that the pyramid was real… but so is this… Leela has to separate fantasy from reality as she faces danger in both! With a nod to ‘Amy’s Choice‘, Llewellyn mixes it up enough to be unique and just as engaging. 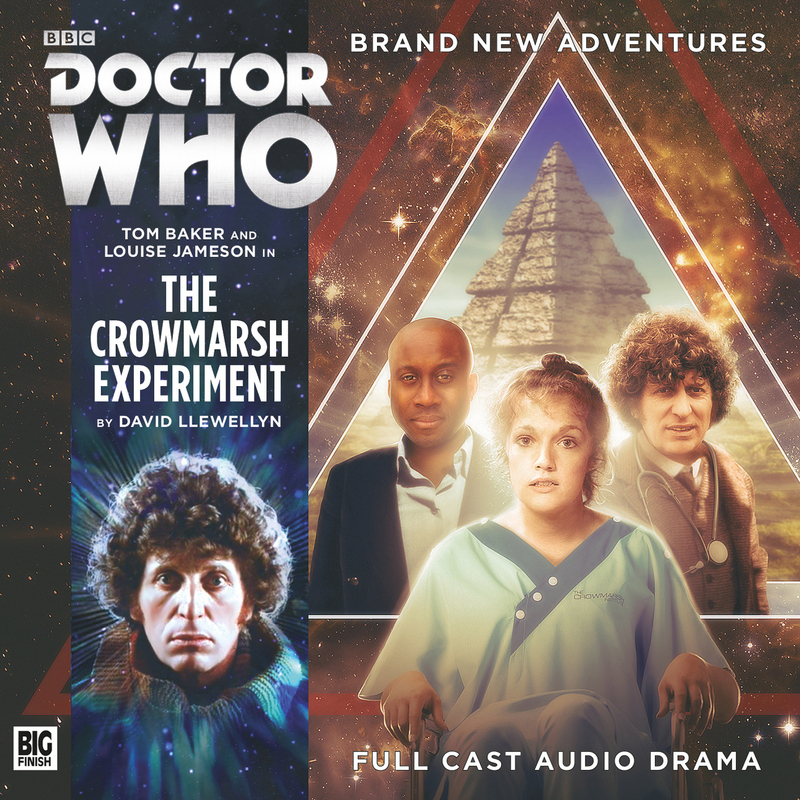 Boasting a strong cast, with the likes of Dan Starkey, Julian Wadham and Cathy Tyson joining Baker, this is most definitely Louise Jameson’s time to shine. She reminds us that Leela is much more than a savage in skins; she’s a complex character that both the TV series and the audios recognise. One of the best things about the Fourth Doctor sets is the ability to explore Leela during her time as a companion. This story takes full advantage of it and the result may be one of Jameson’s finest moments. When John Dorney’s got writing credit, usually it means you can expect spectacular. This is no exception. The Doctor, Leela and K-9 arrive on Chaldera, a dying world calmly preparing for evacuation. But all is not right as their new acquaintance, Officer Taraneh, relays a tale of the Mind-Runners: able to hop into people’s minds. But they’re dying. A ream of suicides are discovered throughout the city and Mind-Runners are blamed. But soon The Doctor and friends take a leaf out of the Dirk Gently book of holistic detection: everything’s connected. A proper blend of everything great about the Tom Baker era, from far flung technology to robotic cults, demonic entities and more. Dorney’s four episodes prove not only a brilliant and engaging story but a great respect for the Fourth Doctor’s era. The cast is also pinpoint perfect, joined by the legendary Josette Simon and Big Finish veterans like Alex Wyndham, Sarah Lark, Andy Secombe and Robert Duncan. It’s safe to say that the risk Big Finish has taken with this new format has paid off. Giving us a brilliant return of a classic foe, a mind twisting character study and brilliant four-part adventure. All superbly directed by Nick Briggs and scored by the affable Jamie Robertson. They say you can’t have too much of a good thing. Stuffing four months worth of Fourth Doctor goodness into one release is bound to test that theory. But we’ll definitely be ready for a second helping when the second volume lands in May. 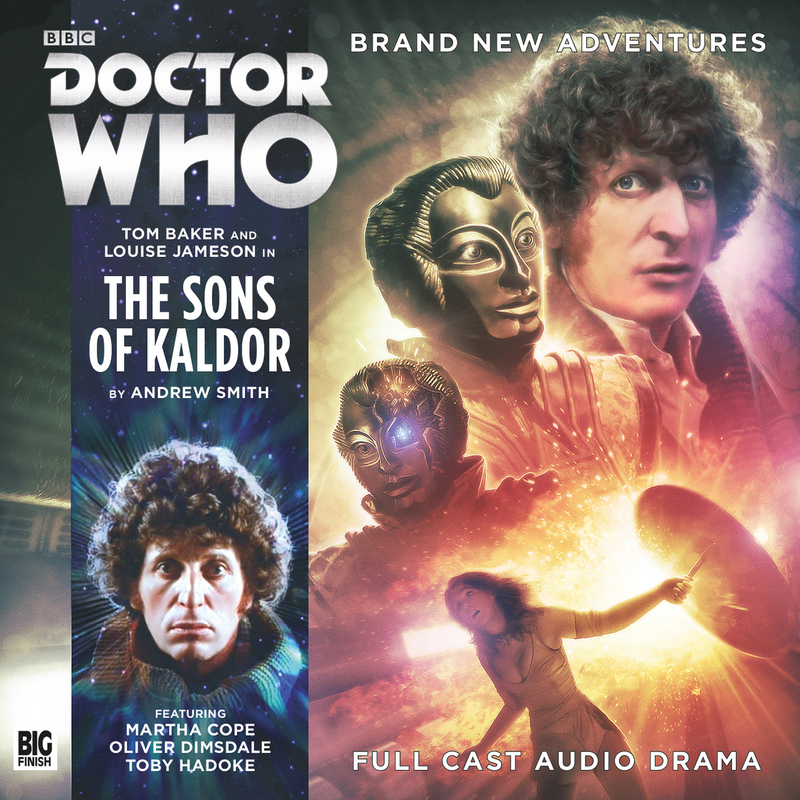 Doctor Who: The Fourth Doctor Adventures: Series Seven Volume 1 is available now from the Big Finish website. The individual stories are also separately available as downloads.